How about a party at Bull Lake!? We’ll be cooking burgers and sharing our beer supply with our Lincoln and Sanders County Friends (OK, any of our Friends or friends of Friends are welcome) at the Bull Lake Rod and Gun Club beginning at 3:00 pm Mountain time. Mark June 23 on your calendar for this fun time in Montana. 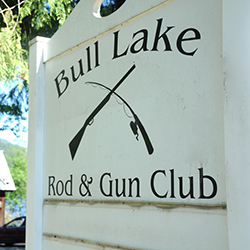 The Bull Lake Rod and Gun Club is halfway between US Highway 2 and Montana Highway 200 on Montana Highway 56. It is on the lake side of the highway.